i have a question about warfront. 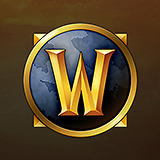 So when new patch comes out and with it new warfront, will there still be a possibility to join current warfront and also do the quest for this one? Thing is that i would still like to obtain the quest shoulders for transmog, so i am curious if i can still get them when new patch will release. Thx for answer. The Battle for Darkshore Warfront won’t replace the Battle for Stromgarde Warfront one. Both will have their own cycles, so you can still do rares in Arathi, and farm for the transmog sets as before.